The last year of Indianapolis Mayor Greg Ballard's term was dominated by an effort to push through a proposal for a Justice Center. The chief focus of the Ballard plan was always a "private partner" who would essentially own the $1.75 billion facility while many local government offices would rent out the facility for 35 years before owning it. The savings up front from this private-partnership proposal would be more than offset over the course of the lease of facility. Translation: under the Ballard proposal future taxpayers would have paid dearly for taxpayers today possibly saving a few bucks. The Ballard administration fought hard to keep the details of the Justice Center proposals from the public. But when those details inevitably emerged, it was discovered that the savings didn't add up. Shortly after the initial proposal, the Ballard administration began to cut back to save money, cuts that would have gutted much of the benefits of a new Justice Center. Eventually the proposal was scrapped when it failed to get council approval. The failed plan still cost Indianapolis taxpayers $16.5 million for consultants and attorneys. This month the Indianapolis Criminal Justice Reform Task Force released a 120 page report which appears to do a much better job of recognizing the needs of the criminal justice community and accepting input from reaching out to all players who will be affected by the project. Mayor Hogsett appears to be supportive of the Force's recommendations. One of my initial concerns with the Ballard proposal was the separation of criminal and civil courts into different facilities miles apart. The fact is much of the work in criminal court cases is attending frequent status conferences which might last 5 minutes, if that. The Ballard plan would have made it extremely difficult for small firm and sole practitioners, whose chief practice is in the civil courts, to also provide representation to criminal clients. Attending a criminal court proceeding might only take a few minutes of an attorney's day and then he or she can go back to the law office or deal with other matters in the civil court. If attorney has to spend an hour or so on a 5 minute criminal court matter, because of the need to travel to another facility, that attorney is going to be less inclined to take on that criminal case. The Task Force report specifically addresses this issue and emphasizes the importance of keeping the civil and criminal courts together, particularly in a location that is close to downtown which is convenient for attorneys and others in the Indianapolis legal community. This was not a priority of the Ballard administration, which at one time strongly considered building a new Justice Center near the old Indianapolis airport on the far west side. While Task Force report doesn't rule out the near-downtown GM Stamping Center, the site finally settled on by the Ballard administration as the location of the Justice Center, but it indicated it was unlikely choice given the owner's changed plans on selling the property. Ultimately, the Task Force suggests the location decision should be left to those most impacted by the decision, judges, attorneys and others who will regularly use the Justice Center. This again is a refreshing change to the Ballard administration approach of making a decision while offering only an after-the-fact dog and pony show in which the administration pretends to take public input. The Task Force report does a good job of addressing the need for improved inmate medical care, particularly in the mental health area. Also, the Task Force emphasizes the need for technology to be included in the plans. Many counties, for example, employ video feeds for initial hearings that are fairly routine. There is no such technology available in Marion County/Indianapolis, however. If an inmate is required at a hearing in this county, he or she has to be physically transported to the courtroom, walking in the same hallways and riding the same elevators as others who might be at the City-County Building on other, non-criminal, matters.. The frequent need to transport inmates not only increases the danger to the public, it is extraordinarily labor intensive. Technology could dramatically cut back on the need for in court appearances. The end of the report addresses financing the facility. The Task Force starts by recognizing the significant savings from a consolidation of government offices currently scattered throughout downtown. Various funding mechanisms are discussed, including traditional bonding and the possibility of a public-private partnership. While the latter is offered as an option, it doesn't appear to be an approach favored by the Task Force or Mayor Hogsett. Let's hope that doesn't change. 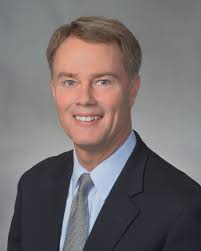 I'll keep my fingers crossed on Justice Hogsett's Justice Center proposal. But the initial review looks promising. We'll take good news from wherever it comes- let's hope it's real. The half-pregnant illogic of public / private partnerships is patently corrupt; a ruse to thinly wrap real estate development deals in "public interest." Let's keep pressure on the east end of Market Street.